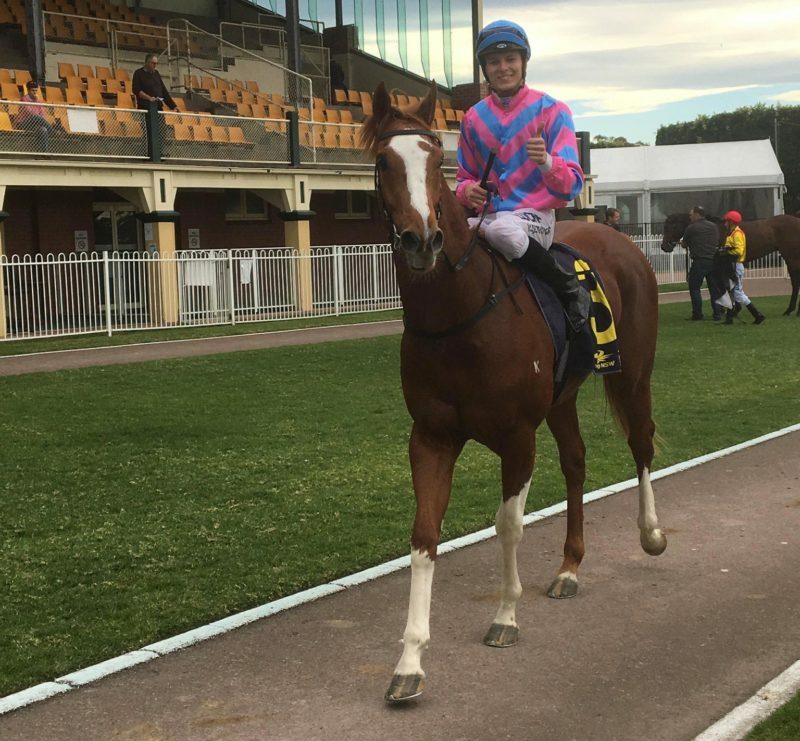 It was very satisfying to give Vincent Li a winner in Newson (Stratum/Predestined) at Newcastle on Tuesday 15th August 2017. This 3-year-old Chestnut Gelding is very distinctive looking with his three long socks and an equally long blaze. He had won his two trials prior but he showed maturity beyond his years in the way he won this 1150m Maiden race. He was momentarily caught behind the pack but a patient ride by Koby Jennings saw Newson burst through a gap to come up the fence and keep accelerating to the line, winning in easy fashion. This striking looking horse has a huge amount of promise and untapped potential. Good times ahead.